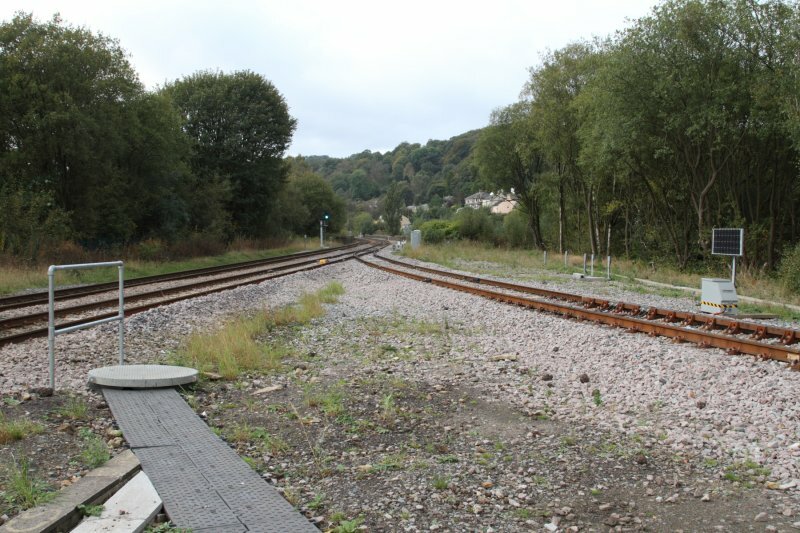 Work on the implementation of the Todmorden West curve continues, and on the interlocking at Stansfield Hall Junction. 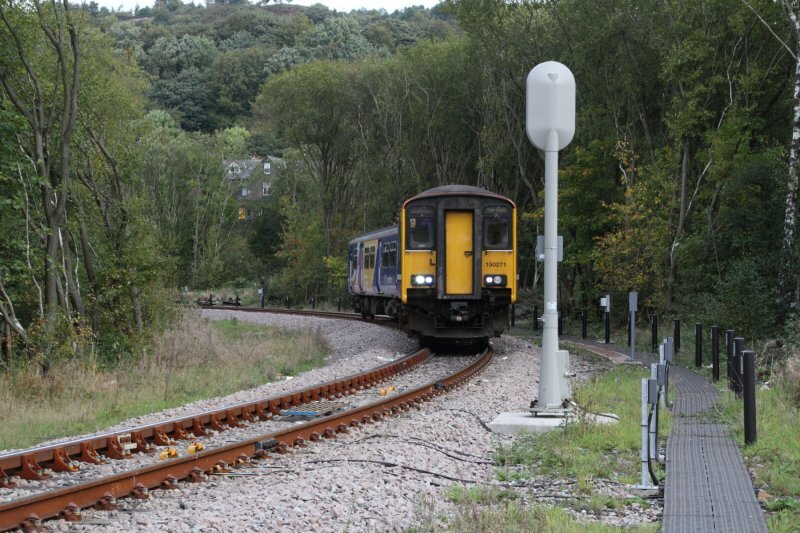 Recent developments, and the new signals on the approaches to Todmorden, are shown in the following images. We remain grateful to our regular contributors for their informed support. 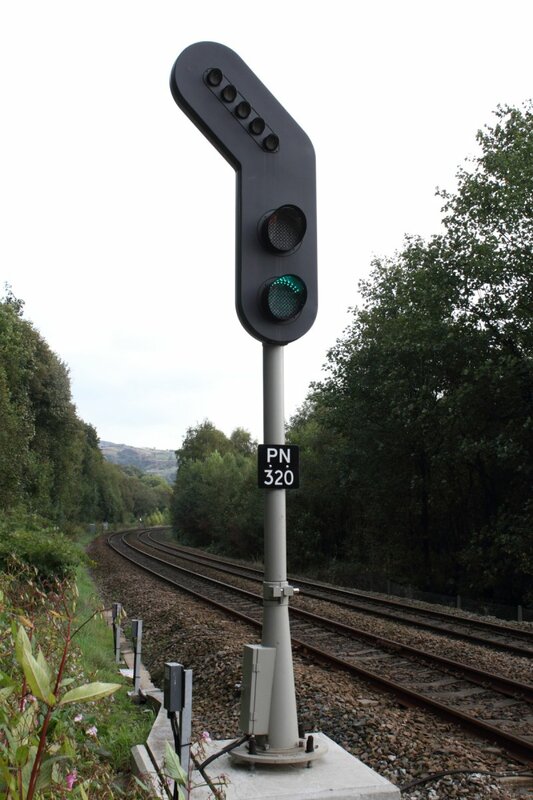 Signal PN320 at Dobroyd Crossing, with feather illuminated for Todmorden West curve; 3 October 2014. 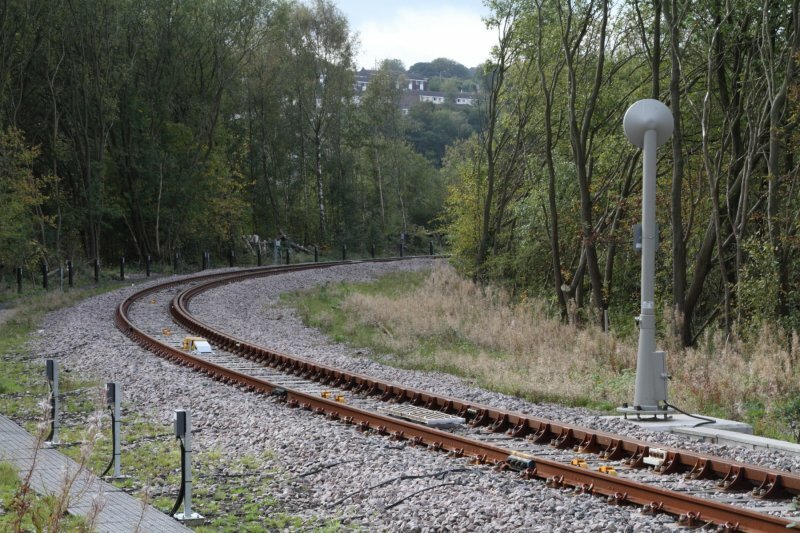 Signal PN318 on Todmorden West curve, looking towards Todmorden Viaduct Junction 3 October 2014. 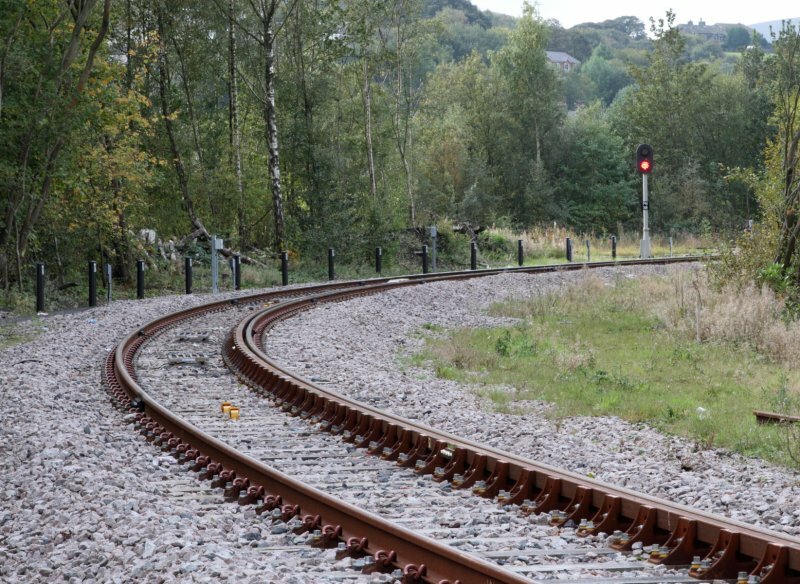 Signal PN337 on Todmorden West curve 3 October 2014, looking towards Todmorden Viaduct Junction (Stansfield Hall Junction behind photographer). 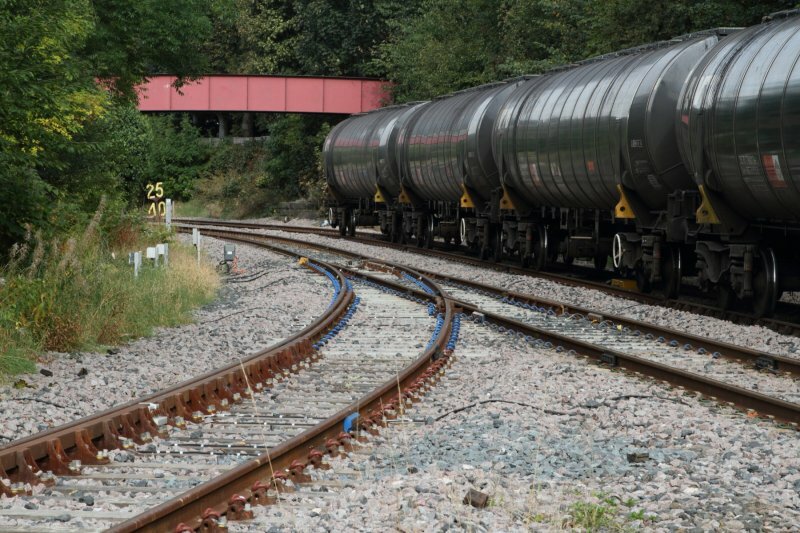 Stansfield Hall Junction showing junction points with Todmorden West curve, with eastbound empty oil tanks from Preston Docks passing on 3 October 2014. 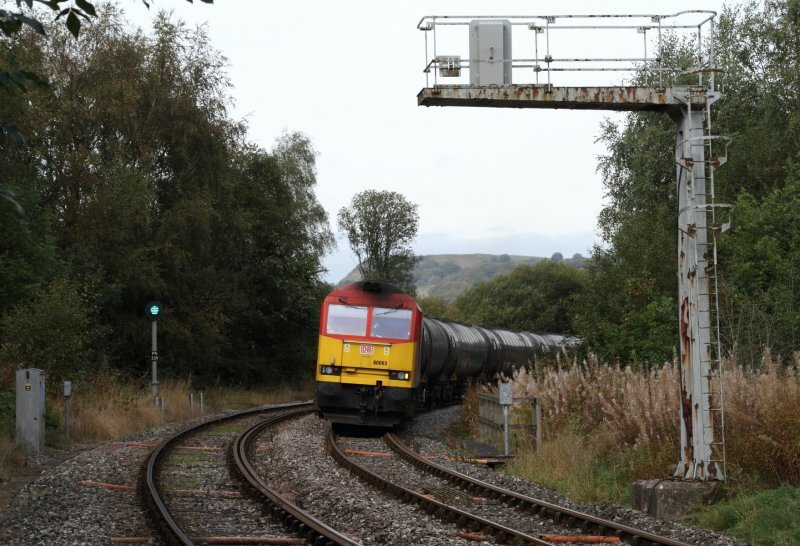 Stansfield Hall - Hall Royd curve looking towards the re-sited signal PN339 (PN338 on left on bracket), with eastbound empty oil tanks passing on 3 October 2014. Looking from TWPS ramp at Stansfield Hall Junction towards signal PN337. 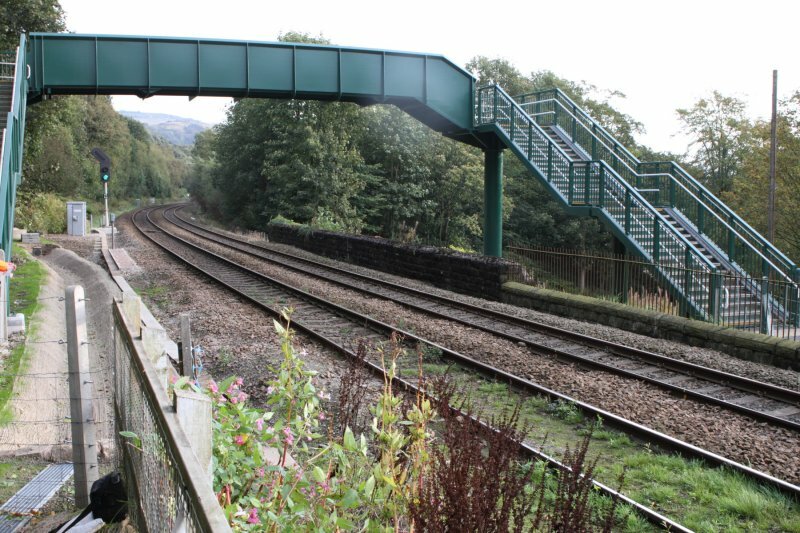 Todmorden Viaduct Junction with Kirkby terminator formed of unit 150.271 passing over the junction with signal PN321 on the up L&Y line in view. 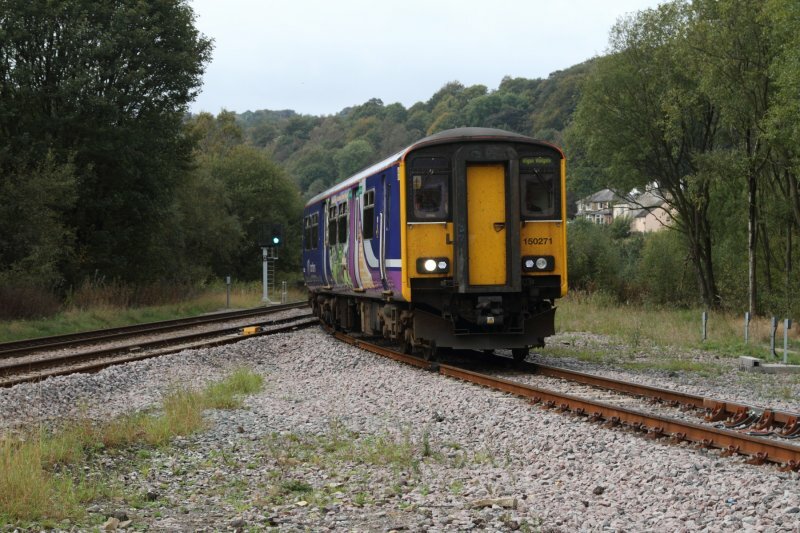 150.271 stands at signal PN318 waiting to return to Kirkby on 3 October 2014. Preston panel as seen on 11 January 2015. Note how the DCE Siding has now been removed. The inside of Preston panel as seen on 11 January 2015. 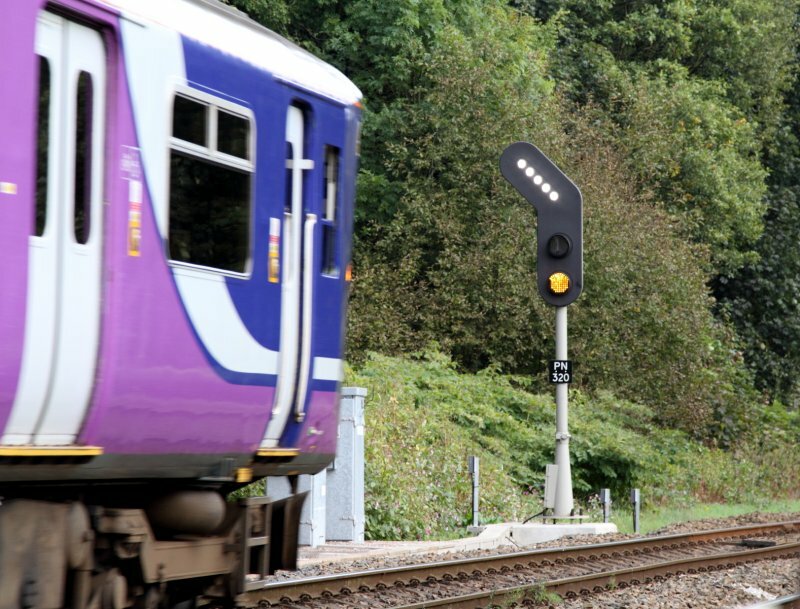 Click here to see the on-line version of the Preston Power Signal Box panel showing signal berth occupancy in real time. 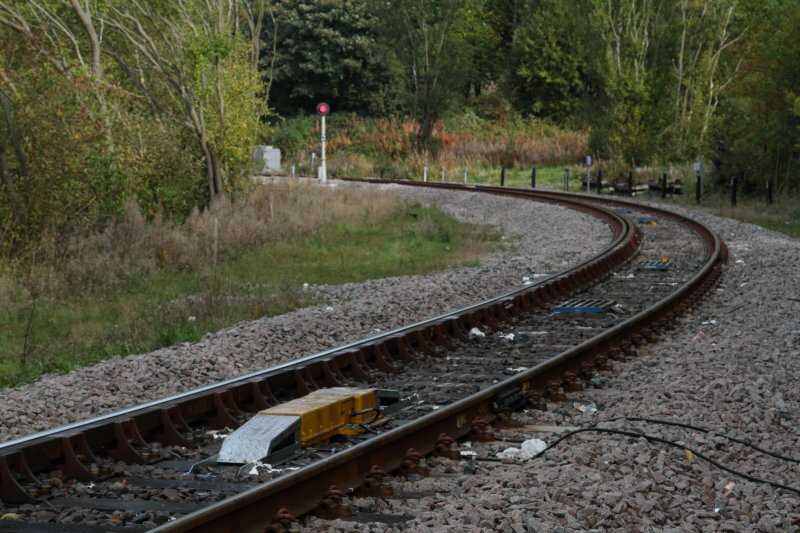 The first train conveying fare-paying passengers ran over the curve on 17 May 2015, and images of the first train are here. 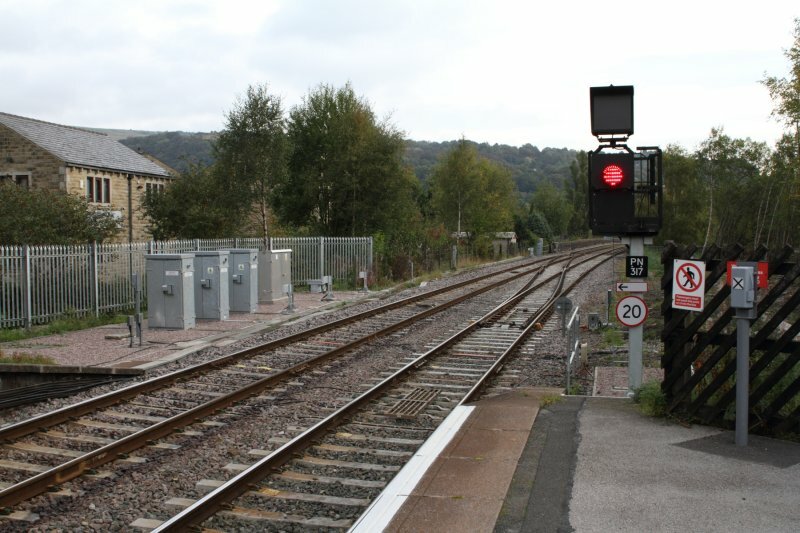 Chris Littlewood has provided signal box diagrams for Stansfield Hall and Todmorden East Junctions here.